Janet Kamara, from Liberia, sits in an International Organization for Migration transit center in Arlit, Niger on June 2, 2018. 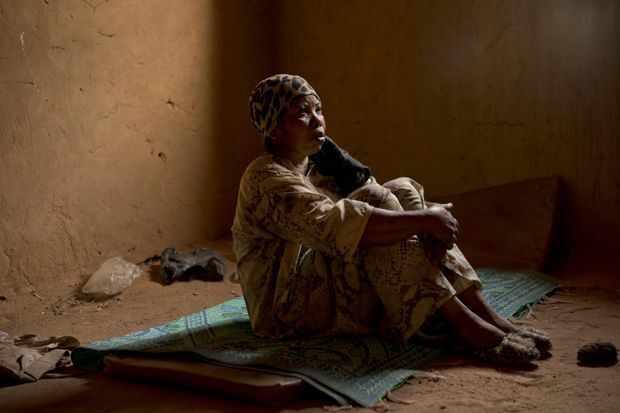 Kamara was expelled from Algeria, and left stranded in the Sahara while pregnant. In Niger, where the majority head, the lucky ones limp across a desolate 15-kilometre (9-mile) no man’s land to Assamaka, less a town than a collection of unsteady buildings sinking into drifts of sand. Others, disoriented and dehydrated, wander for days before a UN rescue squad can find them. Untold numbers perish along the way; nearly all the more than two dozen survivors interviewed by The Associated Press told of people in their groups who simply could not go on and vanished into the Sahara. Algeria’s mass expulsions have picked up since October 2017, as the European Union renewed pressure on North African countries to head off migrants going north to Europe via the Mediterranean Sea or the barrier fences with Spain. These migrants from across sub-Saharan Africa – Mali, the Gambia, Guinea, Ivory Coast, Niger and more – are part of the mass migration toward Europe, some fleeing violence, others just hoping to make a living. A European Union spokesperson said the EU was aware of what Algeria was doing, but that “sovereign countries” can expel migrants as long as they comply with international law. Unlike Niger, Algeria takes none of the EU money intended to help with the migration crisis, although it did receive $111.3-million in aid from Europe between 2014 and 2017. Aliou Kande, an 18-year-old who has been on the move from his home in Dakar, Senegal since he was 15 and was expelled from Algeria, poses for a photograph in an International Organization for Migration transit camp in the northern Nigerien desert city of Arlit on May 31, 2018. Kande said the Algerian police stole everything he had earned when he was first detained – 40,000 dinars ($340) and a Samsung cellphone. Nigeriens and third-country migrants head toward Libya from Agadez, Niger on June 4, 2018. 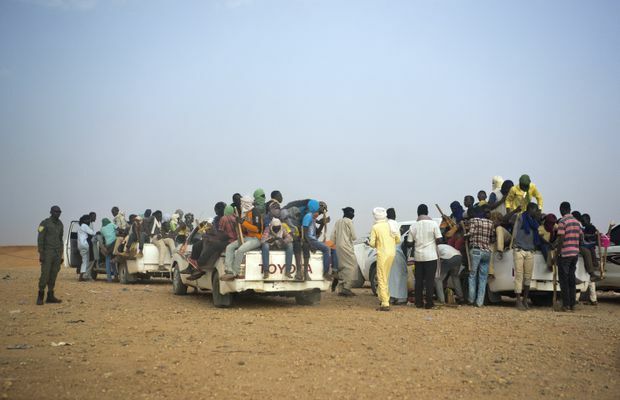 The number of migrants sent home in convoys – nearly all of them Nigerien – has also shot up, to at least 14,446 since August 2017, compared with 9,290 for all of 2016. The journey from Algeria to Niger is essentially the reverse of the path many in Africa took north – expecting work in Algeria or Libya or hoping to make it to Europe. They bumped across the desert in Toyota Hilux pickups, 15 to 20 in the flatbed, grasping gnarled sticks for balance and praying the jugs of water they sat upon would last the trip. But people die going both ways; the Sahara is a swift killer that leaves little evidence behind. The arid heat shrivels bodies, and blowing sand envelops the remains. The IOM has estimated that for every migrant known to have died crossing the Mediterranean, as many as two are lost in the desert – potentially upwards of 30,000 people since 2014. Even in Assamaka, there are just two water wells – one that pumps only at night and the other, dating to French colonial times, that gives rusty water. The needs of each wave of expelled migrants overwhelm the village – food, water, medicine. 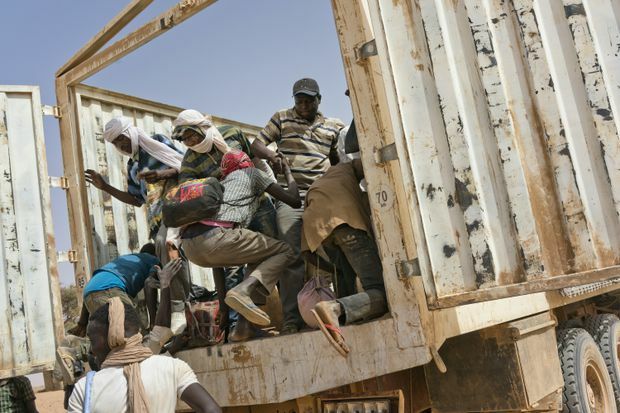 Migrants climb into a truck to head north into Algeria at the Assamaka border post in northern Niger on June 3, 2018.